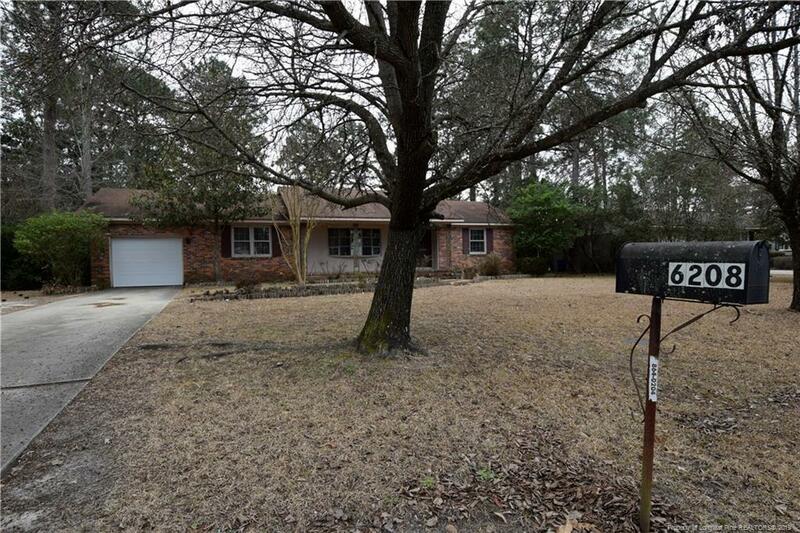 COTTONADE - VINTAGE BRICK RANCH Tons of potential for the saavy homebuyer or investor. 3BR, 2BA ranch with garage could be a wonderful home. Great opportunity to restore, renovate and make this house the home it was built to be. At a fraction of appraised value, priced to sell quick! Features formal LR, DR, & large family room opening to large backyard. Ultra convenient location just outside the Yadkin Rd./Ft. Bragg gate. House in need of full interior renovation but is solid built home situated on level lot in established neighborhood. May be just what you're looking for - an equity property?renovation project? rental/income property? The possibilities are endless!